After finally finishing the Malaysia holiday series of posts, I’ve taken the opportunity this week to catch up on visits to some of the WordPress blogs I follow. One of these is High Street Photos X100 authored by another Adelaide photographer Andy Kidd. Andy takes most of his photos with a Fuji X100 camera, hence the X100 in his blog title. He has recently published several posts of photos taken in the area around Rapid Bay and Second Valley. Looking at his posts has prompted me to revisit some photos I took at Second Valley about 18 months ago. Second Valley is 80 kilometres (50 miles) or so south of Adelaide on the coast of Gulf St Vincent. Size-wise, there’s not much there except a handful of holiday houses, a caravan park and a small jetty. The surrounding area is quite attractive: the coastline is backed by steep hills and Second Valley is located where a small creek flows out of the hills into the sea. I drove down there in the autumn of 2013 to take photos of some geological formations for use in my son’s Year 12 geology assignment. He’d been down that way some time earlier on a school tour but had apparently missed photographing certain formations he now wanted to reference. So dad to the rescue. He chose to stay home to do some maths home work, so armed with my camera and a quick briefing of what I was looking for, off I went. The day was drizzly rainy with leaden skies, so I wasn’t expecting too much in the way of interesting photos. But I just happened upon some quite dramatic lighting as you will shortly see. Second Valley is on the road that leads down to Cape Jervois. 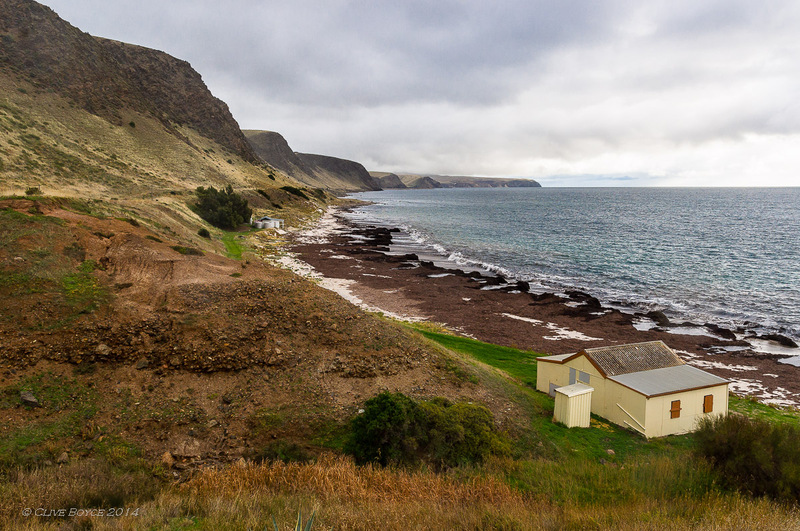 After passing through Yankalilla and Normanville, the road runs along the coast for a few miles before turning back inland. This is the view looking south at the point where the road turns left to head back into the hills. Second Valley is one of the little coves in the distance while Rapid Bay is just this side of the far headland. Dreary drizzly conditions and the hazy look at top left is the rain falling on the nearby hill tops. 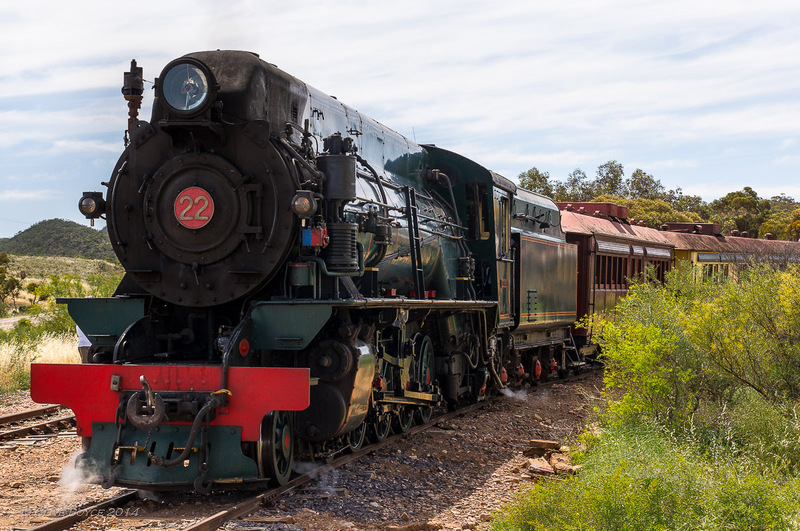 This entry was posted in Australia, Places to Visit, Regional South Australia and tagged Fleurieu Peninsula, Landscapes, Photography, Regional South Australia, Seascapes, Second Valley, South Australia, tourist attraction on February 7, 2015 by aussiesouthlander. The view from the front door of the tent a little before 6am. 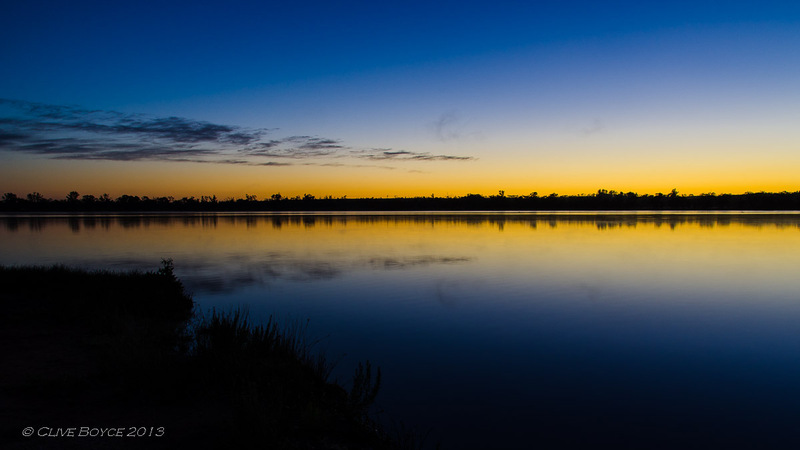 This entry was posted in Regional South Australia and tagged Dawn, Landscapes, Murray River, Photography, Regional South Australia, River Murray on October 24, 2013 by aussiesouthlander. Following on from the last post, some more images of the River Murray area around Morgan. Looking down on the river, from the top of the cliffs featured in the previous post. Although the river height wasn’t elevated, there was a fair flow of muddy water in the main channel. 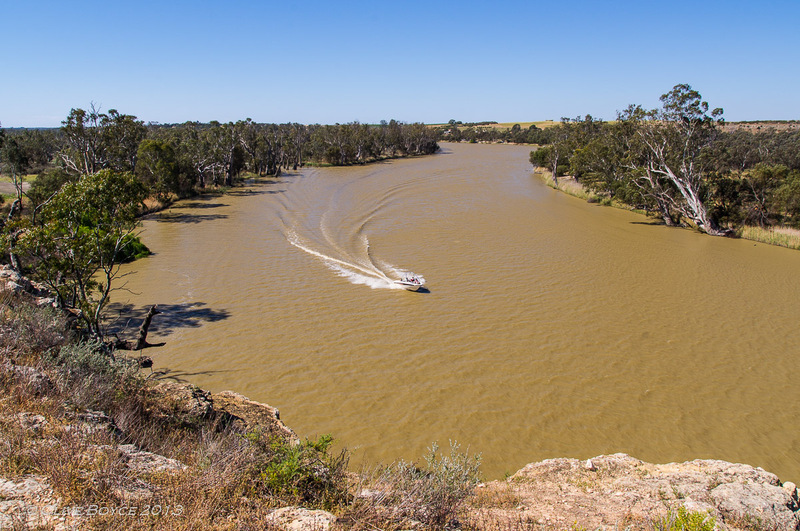 This entry was posted in Regional South Australia and tagged Landscapes, Murray River, Photography, Regional South Australia, River Murray on October 21, 2013 by aussiesouthlander.